Seems way too low. The local NH dealerslip that was held by the founding partners was held for 49 years. When they tried to sell it to their cousins NH wanted and got 3.2 million just for the right to sell their equipment. 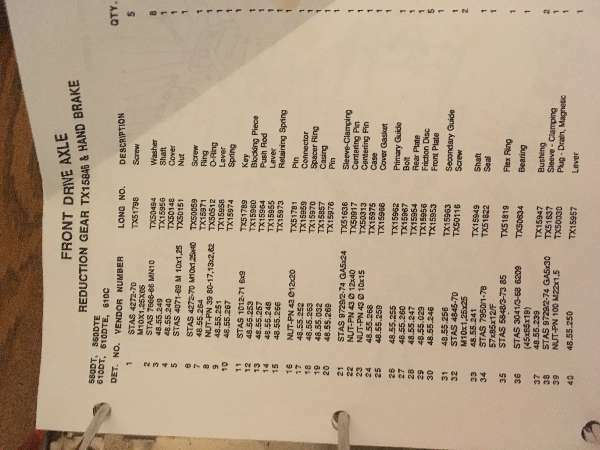 About 5 years prior a road contractor bought a NH dealership about 50 miles away, bought all his new equipment at a discount from his own dealership and promptly closed it down. Then two years ago, NH "leaned on" the local dealerhsip to buy it and reopen it. Their second store isn't doing to well. But NH got what they wanted and screw the little guy. Reminds of when the old owner of the local dealership had been visted by the NH Rep. The Parts Manager was (is) the owner's son. The NH Rep looked around the parts display area and demanded that they get rid of all their Fleetgard products becasue they were "the competition" and got fairly nasty and demanding with the Manager. The Manager to no avail told him Fleetgard WAS New Holland but the Rep would have no part of it! Dumba_ _! Thanks for the thoughts Ken! We have our hands full right now with the three stores!